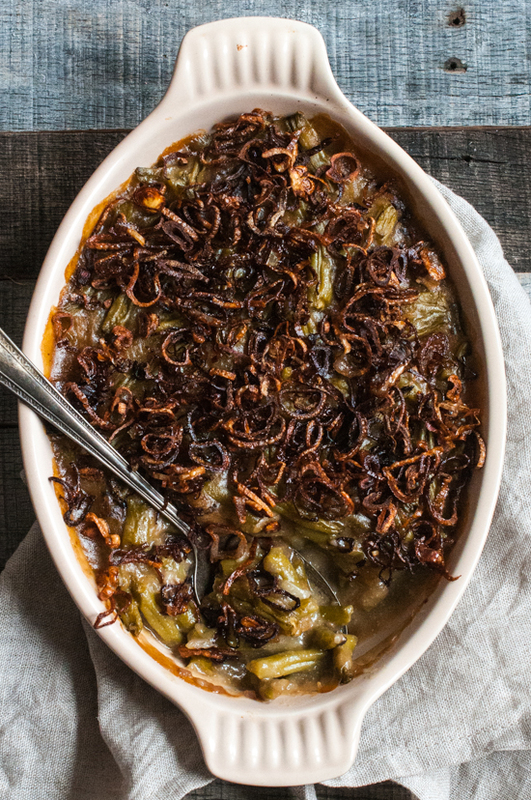 Traditional green bean casserole, made with cream of mushroom soup and crispy onions, has been a favorite of mine at most holiday meals (Thanksgiving, Christmas, Easter…). However, when I went gluten free in 2012 and then AIP/Paleo in 2014, it became a side dish I could no longer safely eat. 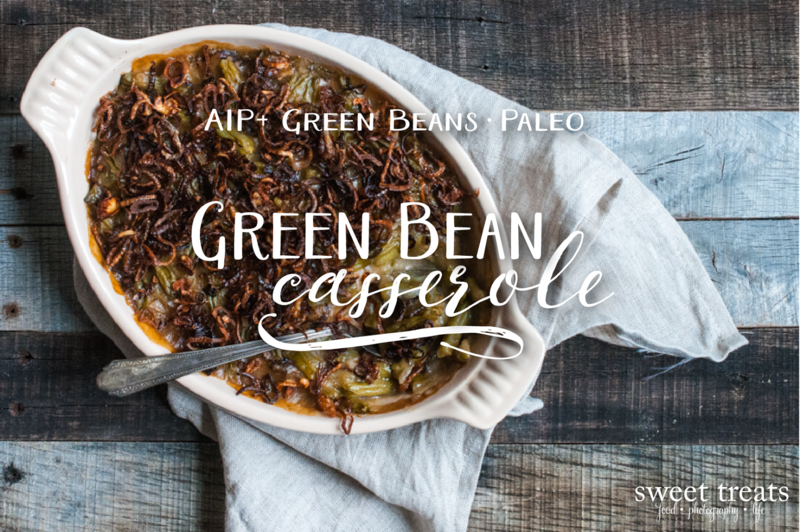 Even though there are always other great side dishes at holiday meals, but I still was missing green bean casserole…. Last year, I attempted several times to make an almost AIP green bean casserole with organic frozen green beans, but it always ended up too watery, even when I made the base mixture pretty thick. This year, I was determined to perfect the recipe I started last year. By switching from using frozen green beans to using organic canned green beans, I was finally successful! 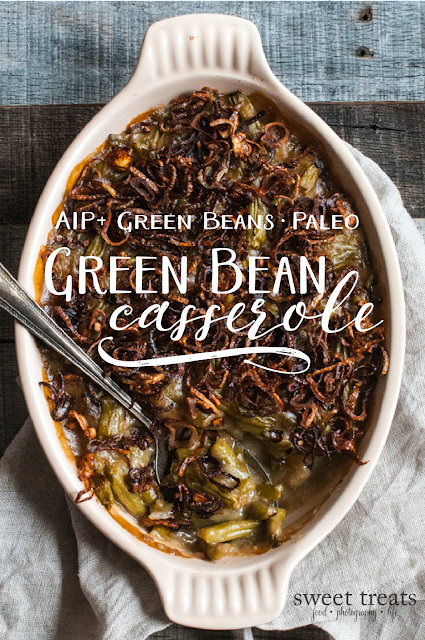 I realize that the decision to use canned green beans may be a controversial one, but for me green bean casserole is a dish I only make a couple times a year for holiday gatherings. Plus, this recipe is already a bit more labor intensive for a side dish and I didn’t want to complicate the preparation any further by requiring a lot of extra steps (or time) for the beans. It might be possible to use roasted green beans or boiled/drained green beans in place of the canned, but those are two variations I haven’t tried. Heat the first measure of fat in a large skillet over medium heat. Add the onion and mushroom and sauté for 5 to 6 minutes, or until the veggies are softened. Stir occasionally. Melt the additional tablespoon of fat and stir with the soften veggies. Sprinkle the cassava flour over and stir until everything is well coated and the flour begins to brown slightly, approximately 1 minute. Slowly add the broth, stirring constantly. Cook an additional 3 to 4 minutes, or until thickened. Add the onion granules, garlic granules, coconut aminos, coconut milk, and fish sauce. Cook an additional minute or two. Gently fold in the drained green and transfer the mixture to a baking dish (8x8 Pyrex or oval Le Creuset gratin dish). Bake in the preheated oven for 30 minutes. 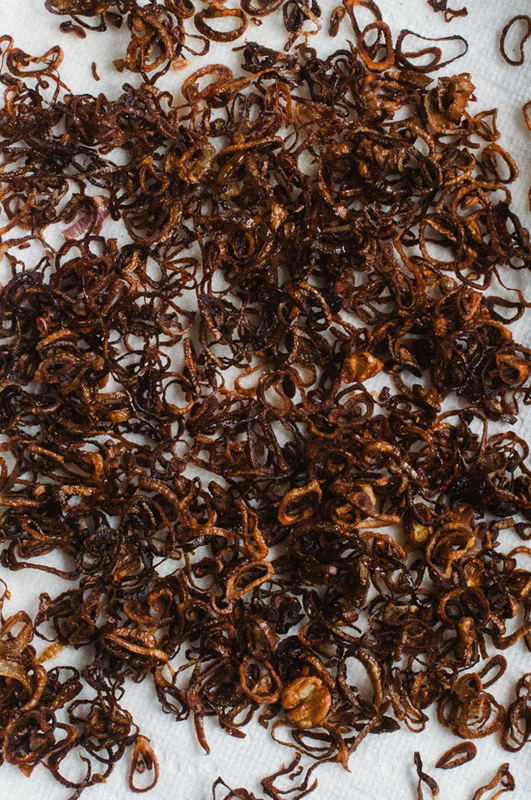 Just before the casserole is done baking, make the crispy shallots for the topping. Thinly slice the shallots, and set aside. Melt the palm shortening in a large skillet over medium high heat—there should be 1/8” to 1/4” of oil in the bottom of the pan, depending on how thinly the shallots are sliced. Add the shallots to the hot oil and fry until golden brown and crispy. Do in batches, if necessary. Add more palm shortening to the pan, as needed. Remove from the oil with a fork and transfer to a paper towel lined plate. Sprinkle with a little fine sea salt while the fried shallots are still hot. 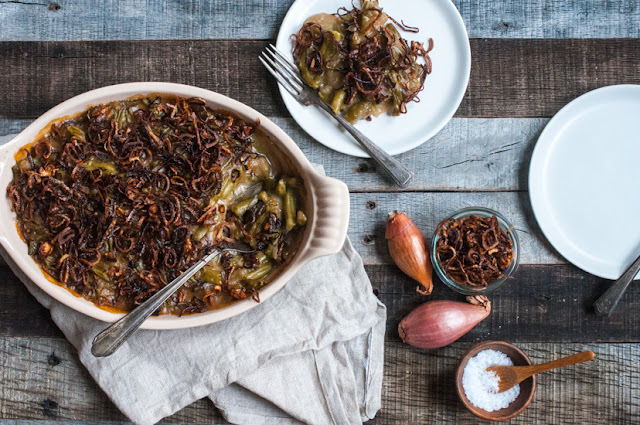 Just before serving, evenly disperse the fried shallots over the top of the casserole. The casserole may be assembled a day or two in advance and baked the day of serving. Fry the shallots just before serving. Store any leftovers in the fridge. after a link is clicked with no additional cost to you. Thanks for your support. 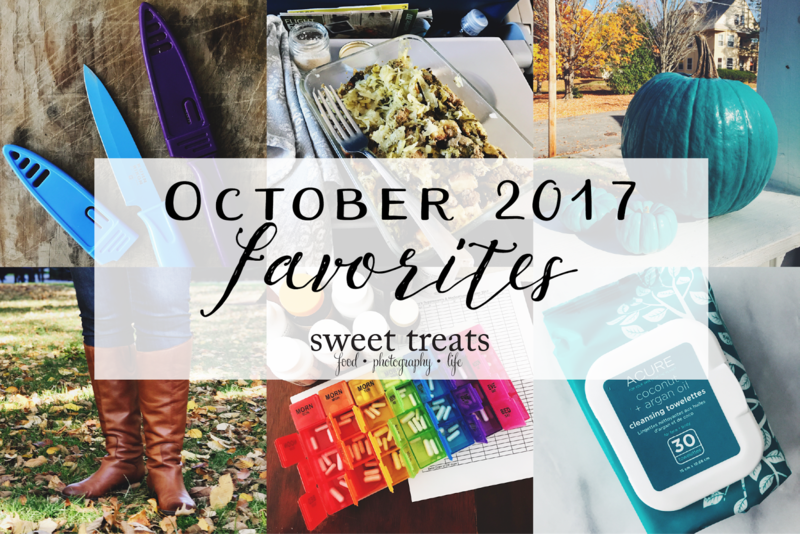 Continuing my tradition of sharing some favorites monthly, here are my October 2017 favorites! Just a reminder, some of these items contain affiliate links, but nothing in this post is directly sponsored by any company... I'm just sharing what I like! I’ve taken a couple trips this month, first going to Minneapolis/St. Paul, MN, then to Georgia and South Carolina. As I often do when I travel, I packed some “safe” food to take along. 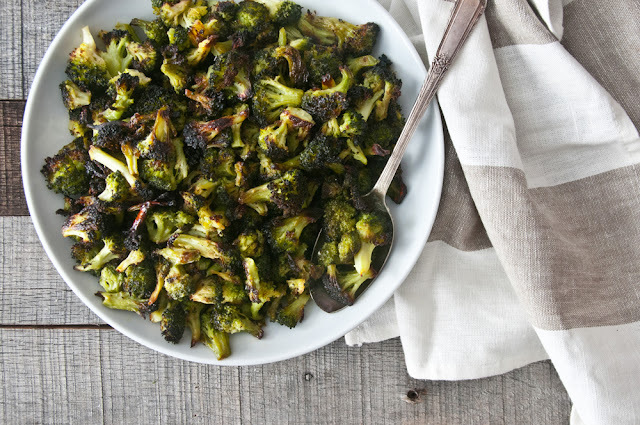 Beef and Broccoli is one of my go-to meals all of the time, but even more so when traveling. It’s easy to prepare in large quantities before a trip, it travels well, and it tastes good cold if I don’t have access to reheating. When traveling, I package the cooled Beef and Broccoli into quart-sized freezer Ziplocks and freeze them solid before travel. Then, when I’m ready to eat it, I thaw one in the fridge overnight and transfer it to a small Pyrex container. I like to top mine with garlic dill pickle sauerkraut and truffle salt. Under the supervision of my Integrative MD, I’m on a more rigorous supplement regiment, tailored specifically to my needs as revealed in some recent testing. Some supplements I’m taking multiple times a day, but am taking different amounts at different times of the day, whereas before, I took things once in the morning and maybe again before bed. To keep myself from getting confused and to ensure that I would actually take the things my doctor is recommending, I invested in this new enormous pill organizer. 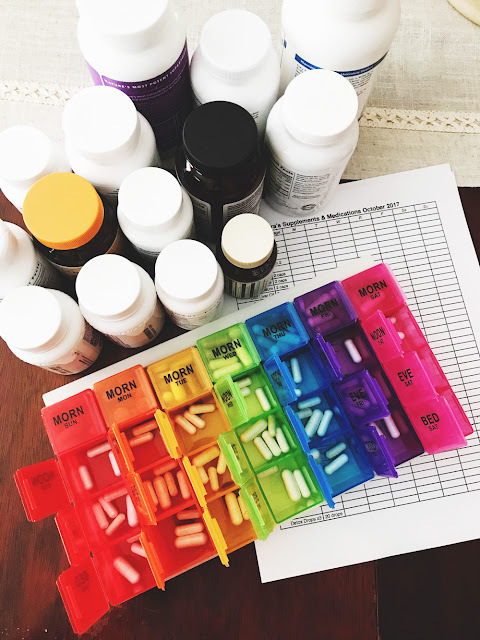 And side note: I’ve never gotten so many DMs on Instagram as when I shared this pill organizer in my IG stories a few weeks ago! I still take the most things in the morning, so I end up using both the AM and the Noon spots for my morning pills. I’ve repurposed the evening spot for my afternoon ones and kept the bedtime slot for my nightly supplements. So far this organizer has been very useful and I feel I’ve been much more successful with actually taking what I intend to take while using this system. I’ve had two of these paring knifes since around 2009 and they’re still both going strong. 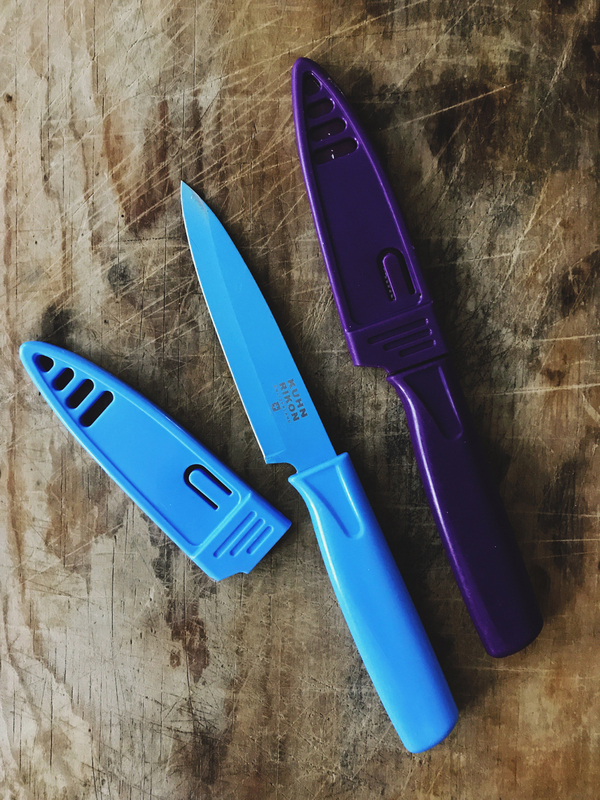 Originally, I bought them to go in my culinary/pastry knife kit, but now I use them when traveling and occasionally in my day-to-day cooking adventures. They come in a wide variety of colors, but I happen to have a purple one and a light blue/periwinkle one. The knife sharpens easily, it fits really comfortably in my hand, and they’re very inexpensive (especially as knives go!) I also love that it comes with a matching cover, so I can throw it in my lunchbox to easily cut things (avocado, apples etc.) as needed. On a whim, I decided to try these as a good face cleansing option while traveling. I know myself well enough to know that I am much more lazy about my skincare when traveling! In the past, I’ve used a different company’s cleansing towelettes, but they started making my eyes burn… Yikes! Not good! I switched to these and have not felt that same burning. The smell of these wipes took some getting use to—they smell a bit like Play-Doh—but they are effective and I no longer feel a burning like I did with the last brand I used. 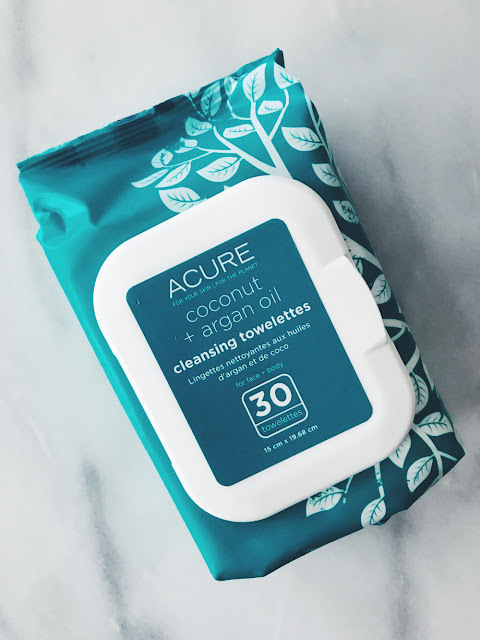 I’m sure they’re not perfect ingredient-wise, but they’ve been a great option while traveling or on the occasional night when I’m too tired to do a full face washing. I buy mine at Target, but they're also available on Amazon. I’ll be the first to admit, I’m not a fashion blogger. But I am a big fan of these boots and I’ve gotten some nice compliments on them too. It’s taken me two years to find just the right tan tall riding boot because I’ve had a tough time finding ones with a wide calf shaft and with the right heel hight. Too short a heel and they feel weird when walking… Too tall and I can’t wear them long without my feet, back and legs hurting. These boots are wide enough in the shaft without being gap-y—I can wear them with jeans or leggings. They’re also very comfortable! I walked five miles in Boston in them over the weekend and didn’t get a single blister. My normal shoe size is a 9 1/2 (occasionally a 10) and these fit great as a 9 1/2. I tried these boots on first in a department store, and while I really liked them and thought they fit well, the price didn’t work my limited budget. I checked on Amazon upon returning home, just in case, and they were less than half the price of the department store! To me, they're still a bit of an investment, but I know I’ll get lots of use out of them. 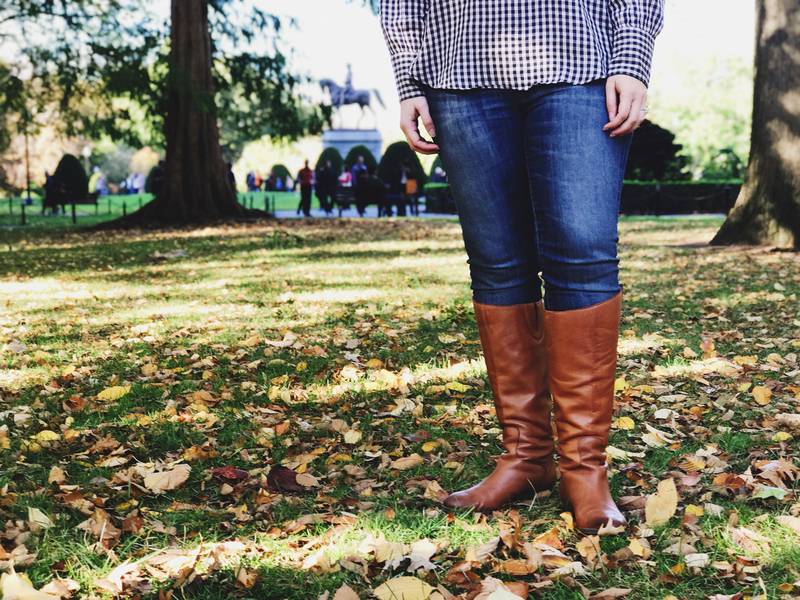 Thanks to my friend Rebekah Scadding for taking the photo of me in these boots while we were in the Boston Public Garden this past weekend. This year marks two years that we’ve participated in the Teal Pumpkin Project for Halloween. By putting a teal painted pumpkin outside our house (or you can buy one), we’re signaling to trick-or-treaters/parents-in-the-know that we’ll have allergy-friendly options. Since today is Halloween, it might be a little late for this year’s Teal Pumpkin Project, but maybe it will be something that can be utilized in future years. Since I grew up with food allergies, my heart really goes out to those kids who can't eat traditional treats. 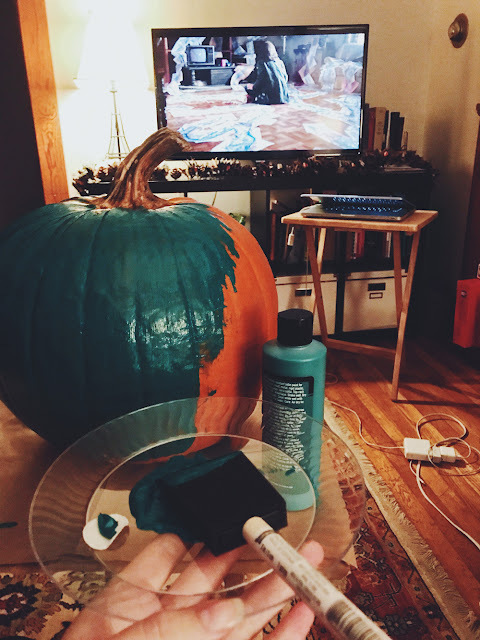 painting my 2017 pumpkin while watching "Stranger Things 2"
We started a tradition last year of giving out glow stick bracelets instead of a food treat. I like that the glow stick bracelets are not only fun, but also help with visibility on a dark Halloween night. So those are a few of my favorites from October. What are you loving lately? Some of these items include affiliate links, meaning Sweet Treats makes a small commission off items purchased after a link is clicked with no additional cost to you. Thanks for your support. I’ve been keeping another secret from y’all! I’m very excited to announce the release another great e-book project: Freezer Cooking for the Paleo AIP. 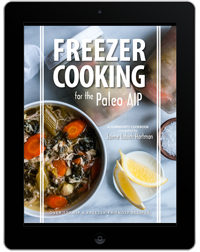 Compiled by my friend Jaime Lubich Hartman from Gutsy By Nature, this e-book features over 120 recipes (100% elimination-stage AIP-compliant) developed by 30 contributors AND includes specific freezer adaptations (packaging, freezing, storing, and serving) for every recipe. 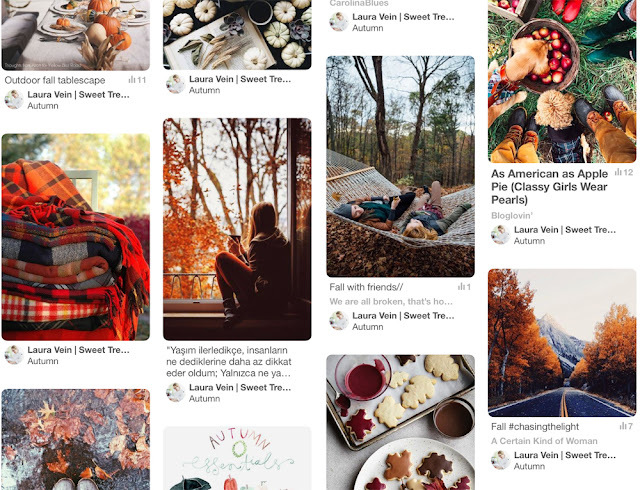 All the recipe categories are covered from breakfast to appetizers/snacks to soups/stews to casseroles to main dishes to side dishes to desserts! We’ve also dedicated this project to our friend Martine Partridge (eathealthrive.ca) who passed away in May. 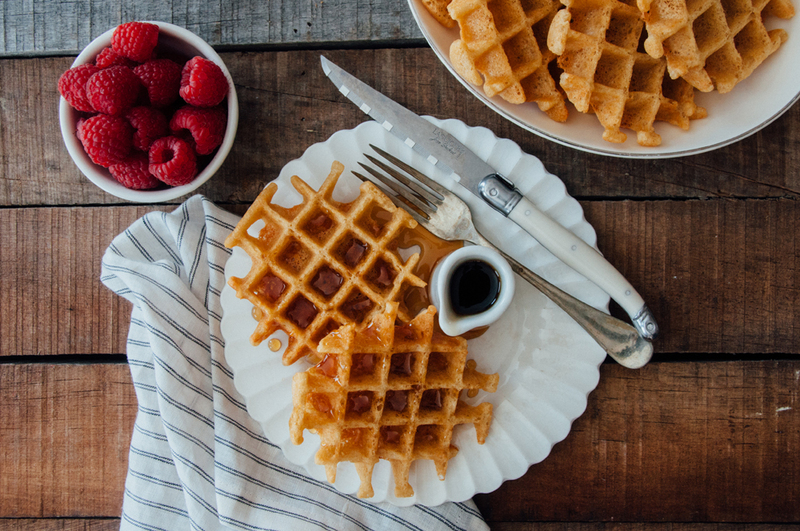 These waffles stay extra crispy due to a special ingredient. Cover recipe! 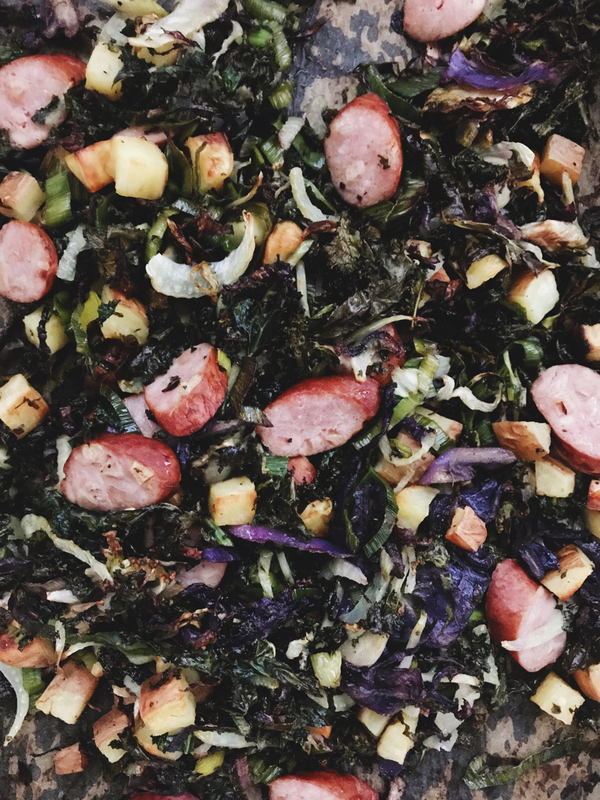 Sneak peak of an Instant Pot® variation of the recipe below. This is a recipe I’ve teased quite a bit on Instagram and it might be one of my husband’s favorite dishes I’ve ever made. 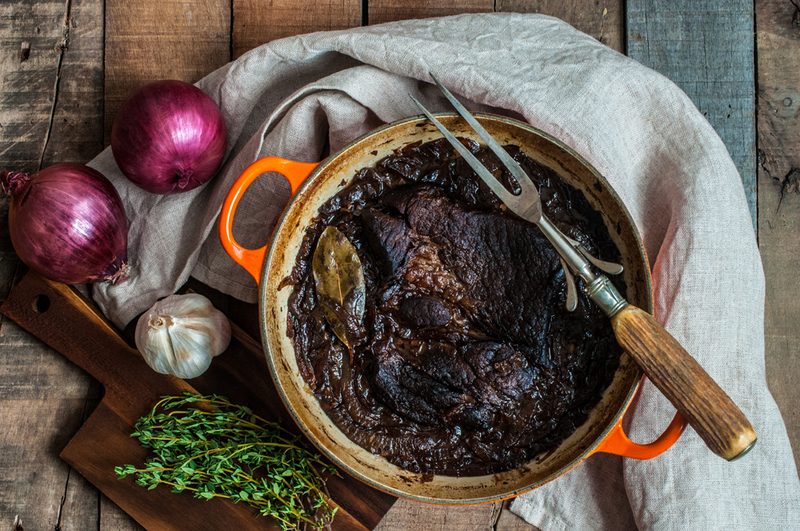 He calls it “meat candy.” This recipe includes both stovetop AND Instant Pot® instructions in the e-book! An absolute staple recipe I make at least once a week. An easy dessert that can be assembled in minutes. 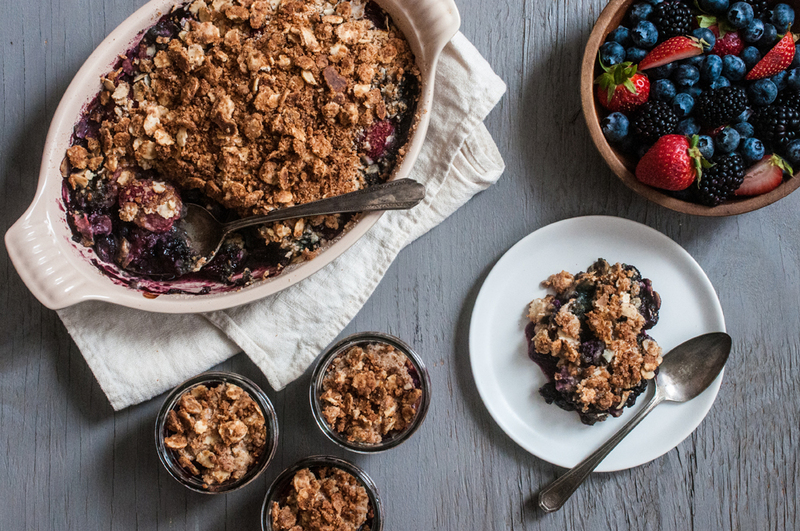 Bake in a large baking dish OR in individual mason jars. Really 4 recipes in one, as there is a plain vanilla version, cranberry orange, raspberry swirl, and “chocolate” mint. 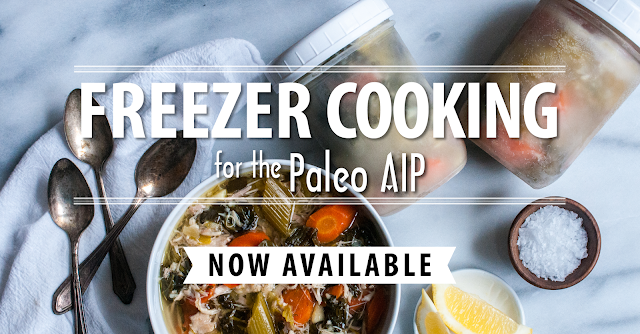 To celebrate the launch of Freezer Cooking for the Paleo AIP, some of my favorite AIP businesses and resources have joined together to giveaway over $900 in prizes, which will be awarded to 14 randomly selected individuals. *Due to shipping restrictions, the prizes from Paleo On the Go, Hot Logic, and ShopAIP are only open to winners with delivery addresses within the United States. 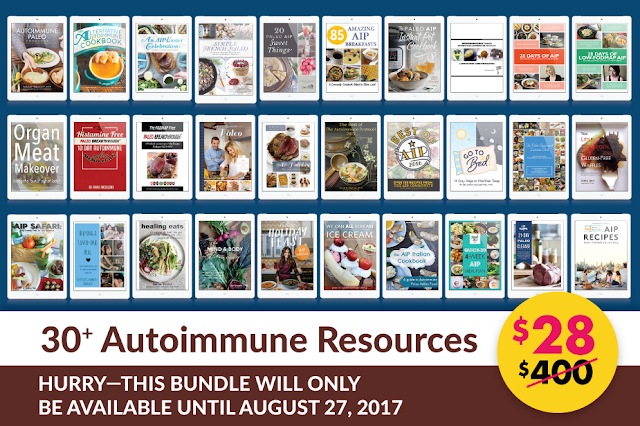 Winner of The Autoimmune Paleo Cookbook will receive a signed print copy if a United States delivery address is provided, otherwise will receive a PDF copy. All other prizes are open to winners anywhere in the world, unless giveaway is otherwise prohibited by local law. 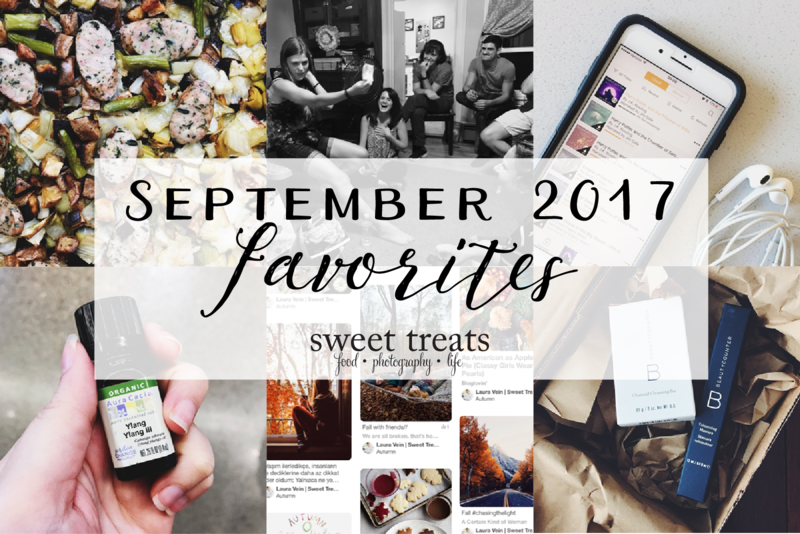 This giveaway will run through October 9, 2017, and no purchase is necessary to win! Enter via the Rafflecopter widget at the bottom of this page and mention that Laura from “Sweet Treats” sent you! 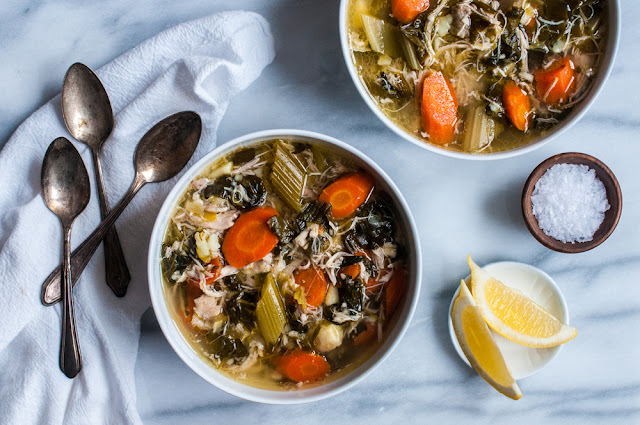 At the risk of seeming corny and cliche, I call this soup “magical” because it’s not only delicious and nutrient-dense, but also heartwarming and good for the soul. I love to eat it for breakfast or lunch and it’s my go-to recipe to make for friends or family when they’re sick or recovering from surgery. 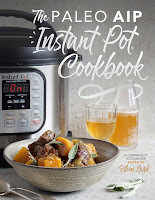 If you don't yet have an Instant Pot® (what are you waiting for?!? ), make sure to check out the the e-book for stovetop instructions. 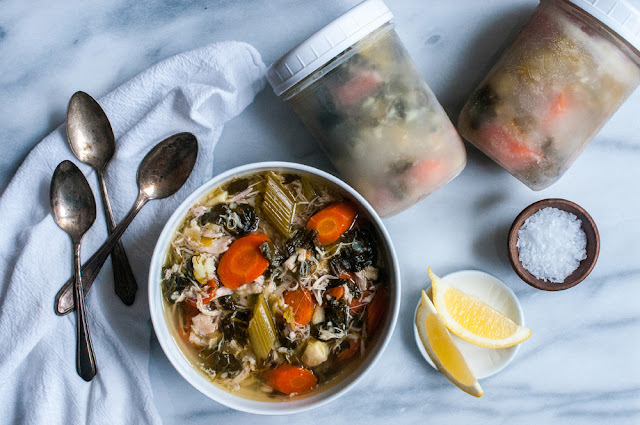 This one-pot, self-brothing soup is one of my secret weapons—I’ve made a batch at least twice a month for the past two years. 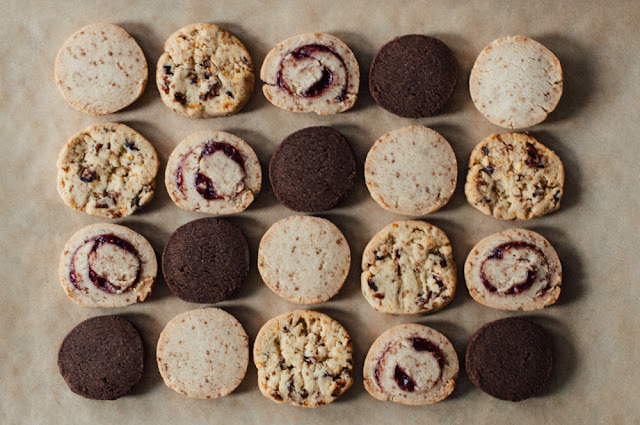 Don’t stress about the exact ingredient amounts… I rarely measure when making a batch! It’s great for any meal (especially breakfast) or when sick. Keep it interesting by switching up the garnishes when serving. Add the chicken thighs, filtered water, apple cider vinegar, and bay leaf to the stainless steel insert of the Instant Pot®. Close and lock the lid, ensuring the vent is closed. Press the MANUAL button and decrease the time to 25 minutes. Once time is up, allow the pressure to release naturally. While the chicken is cooking/pressure is releasing, prepare the veggies. Add the sliced leek, chopped carrots, chopped celery, diced white sweet potato, greens, and sea salt to the Instant Pot® Close and lock the lid, ensuring the vent is closed. Press the MANUAL button and decrease the time to 25 minutes. Once time is up, allow the pressure to release naturally. Transfer the chicken thighs carefully to a cutting board—caution, they will be very hot and may have a tendency to fall apart! Shred the chicken and the skin with two forks. Save the bones for future batches of bone broth. Add the shredded chicken back into the soup and stir to combine. Discard the bay leaf. Let the soup cool completely. Ladle the cooled soup into freezer-safe wide-mouth mason jars (1 quart jar is approximately 1 serving)—leave about an inch of headspace in the jars. Screw on lids and refrigerate overnight before transferring to the freezer. Alternately, especially for travel, use quart sized freezer Ziplock bags. Freeze flat. Store frozen quart bags in gallon bags, if traveling. 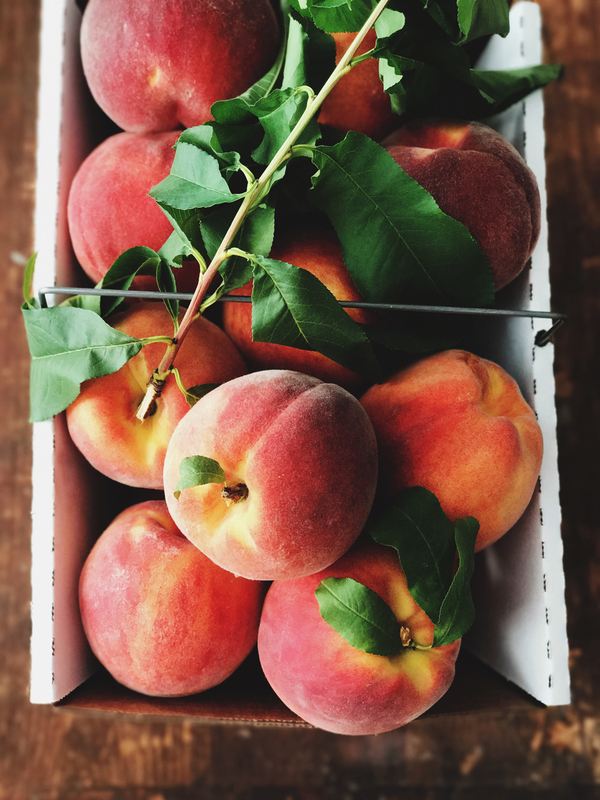 If desired, thaw overnight in the refrigerator, then gently heat on the stovetop or in the microwave. Alternately, thaw and reheat at the sometime in the microwave or stovetop. Serve with chopped herbs, lemon, and/or a finish salt, if desired. We eat a lot of roasted vegetables throughout the year, but lately I’ve been embracing not just roasted vegetables, but entire meals that can be roasted on a single sheet pan. The template is really easy: veg + fat + protein typically roasted at 425 F for 30 to 60 minutes, depending on the veg/protein included. It’s a relatively easy meal with some prep required, but very little hands-on cooking time, and very minimal clean up. 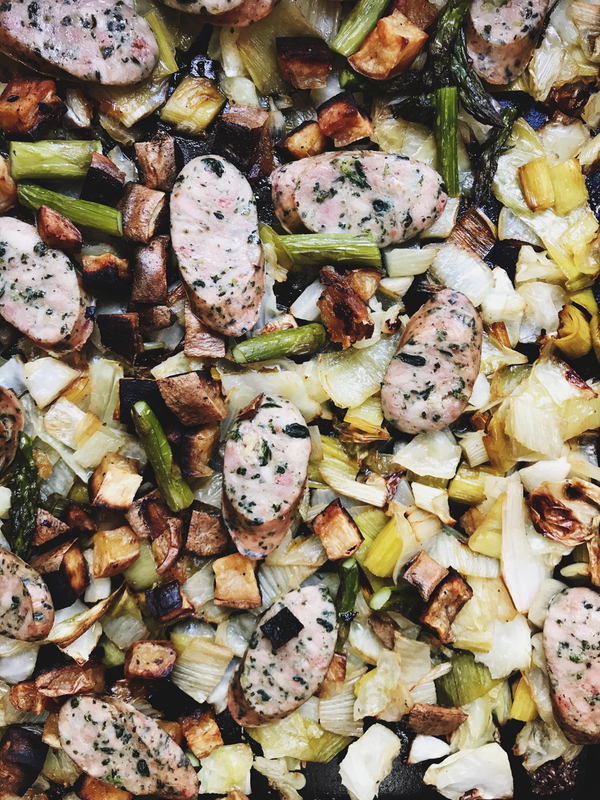 As I’ve got some reintroductions under my belt, I quite often top roasted veggies with some sliced chicken sausage (usually contains some seed spices, but I always look for varieties that are nightshade-free), but chicken thighs also work well. 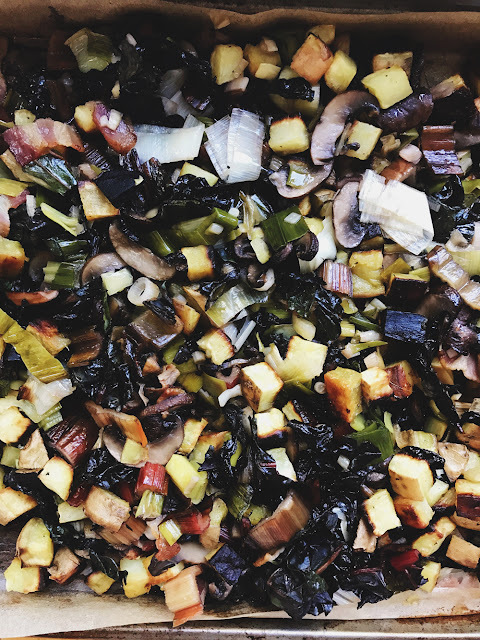 Inspired by my friend Stephanie from “Fresh Tart,” I’ve also embraced this technique to make larger batches of breakfast hash with sliced leeks, baby bella mushrooms, bacon, and hearty greens like chard (include the stems) or kale. It’s been a great way to use up random bits of vegetables in the fridge or freezer, thus reducing food waste. I plan to do some posts in the future with specific recipes for this technique. I love diffusing essential oils, especially when I’ve cooked something extra fragrant or at night for sleeping. 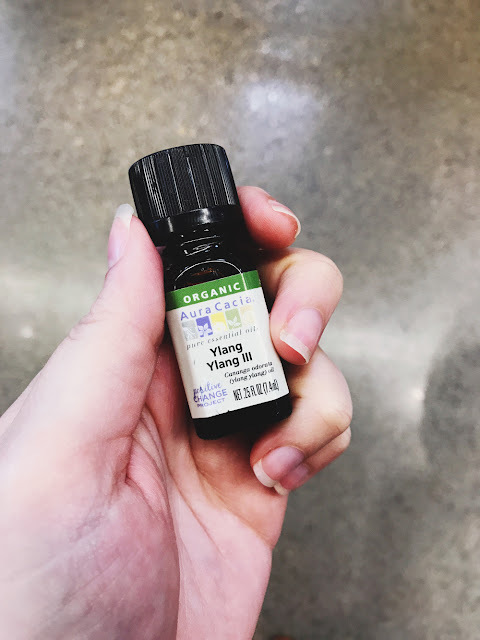 Ylang ylang is the newest oil in my arsenal and one of my current favorites. It’s a very calming, tropical floral scent reminiscent of jasmine. I’m still using my initial bottle purchased at my local Whole Foods, but it’s also available on Amazon or from most major EO companies. I like it for its soothing/relaxing yet uplifting qualities. It’s been a great one to diffuse on days where I need a bit of a pick-me-up. I’ve also read that it’s for the skin (diluted in a carrier oil) and the hair, though I haven’t tried it that way yet. This is another essential oil I anticipate keeping in my stash permanently. A favorite childhood memory is of my mom reading to my sisters and me at night and/or when we were sick. Listening to audiobooks reminds me of those favorite memories. 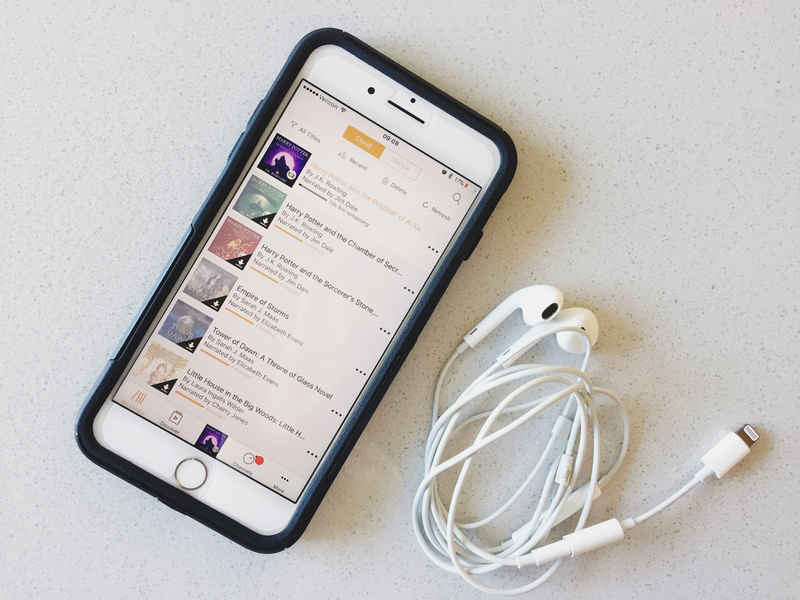 I’ve had an Audible gold membership (1 credit/book per month + 30% off the list price for any further audiobooks I choose to purchase) for a couple years and really enjoy listening to books while cooking or doing household chores or while driving. It’s so convenient to run the app on my phone or tablet. I tend to pick longer books, if I can (to maximize my credit purchase), and I tend to gravitate towards the genre of young adult fiction. Currently, I’m re-listening to the Harry Potter series (right now I’m on “Harry Potter and the Prisoner of Azkaban”) but I’ve also lately enjoyed “Tower of Dawn” from the Throne of Glass series by Sarah J. Maas, and “Six of Crows” from Leigh Bardugo. I’ve had some adventures finding a more natural, gluten-free mascara…. I used another company’s mascara for a couple of years, but it always smeared under my eyes, giving me a great raccoon impersonation regularly. Plus, it was very difficult to remove when I actually wanted it off! Beautycounter has had a lengthening mascara for a while, but since I wear glasses, I didn’t want any additional length to my lashes. When I heard that Beautycounter was coming out with a volumizing mascara, I knew I had to try it in hopes that it would be a better option for me. I am pleased to say this new volumizing option has been great! It doesn’t smear under my eyes AND it’s much easier to remove at the end of the day. Fair warning, the brush does take some getting use to, and it isn’t necessarily the most “crunchy” option, but it’s definitely better than conventional mascaras! While I’m not a consultant with Beautycounter, you can order their products through your favorite consultant (I’m sure you probably know *someone* who sells it, if you’re in the AIP/Paleo-sphere) or through the Beautycounter website. 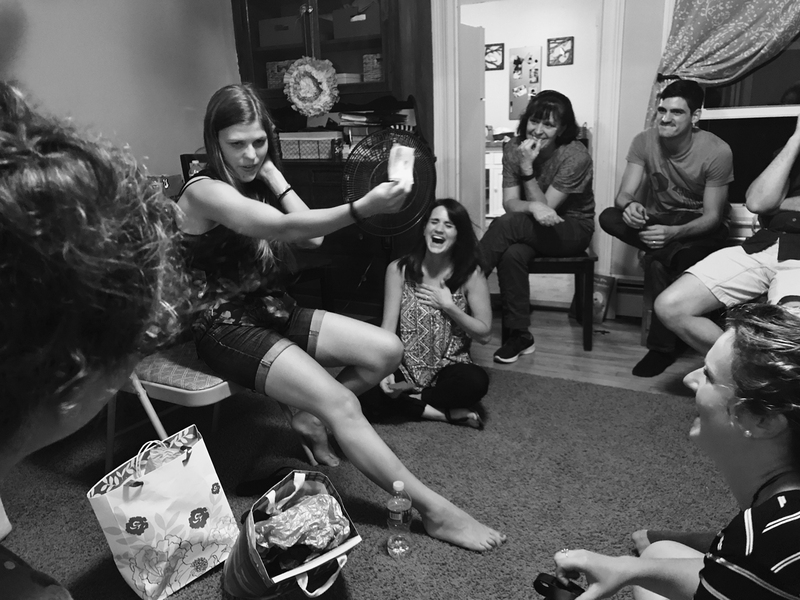 We helped throw a surprise birthday party for a friend earlier this month and we played a new-to-us party game called “telephone pictionary.” I’m not usually a fan of group games (unless they’re board games or card games), but this one was super fun! It’s probably better played in larger groups (we had around 15 people playing) for optimal hilarity. Each person gets a stack of papers, amount equal to the number of participants, and a writing utensil. Everyone starts by writing a word or simple phrase on the top sheet of paper, then everyone passes their entire stack of paper to the person on their left. That person looks at the phrase, moves it to the back of the stack, and draws their interpretation of that word or phrase. Next, the entire stack is passed again to the left. That person looks at the drawing, moves it to the back of the stack, and guesses a word or phrase that the picture depicts. And the whole process continues around the group until all the papers are used. What ends up being the most hilarious part of the game comes at the end when everyone looks through their stack of papers and shows the group where the word or phrase started and how much it changed as it went through the whole group. Last year was our first autumn in New England (after leaving southern Texas), but we spent the majority of the season’s peak unpacking and settling in to our new home. We’re looking forward to doing all the fall activities (or as many as we can manage) while we live in this gorgeous state. 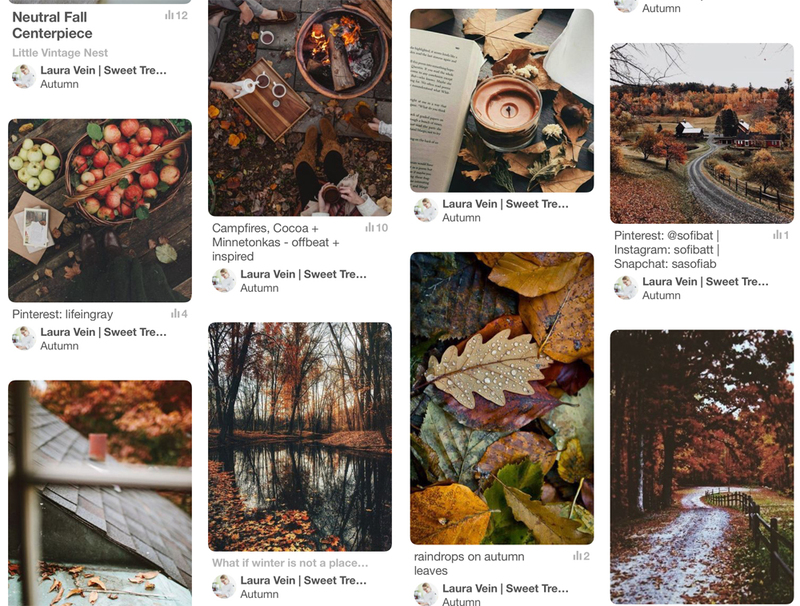 While we’re waiting for actual autumn to arrive—our weather has been still stuck on summer lately—I’m compensating by pinning on the pretty fall images on Pinterest to a specific autumn board. So those are a few of my favorites from September. What are you loving lately? 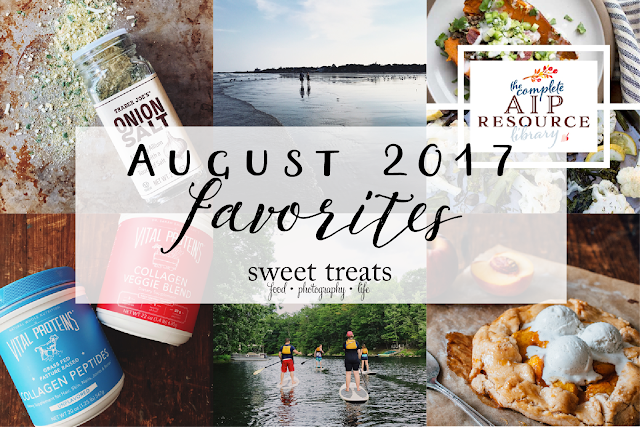 I’m sharing my August favorites a few days early this month so that I can share details about a very special AIP resource that’s only available August 24 to 27! Note: some of these items contain affiliate links, but nothing in this post is directly sponsored by any company... I'm just sharing what I like! My friends Mickey and Angie from Autoimmune Wellness have put together a fantastic resource for those healing from chronic illness. 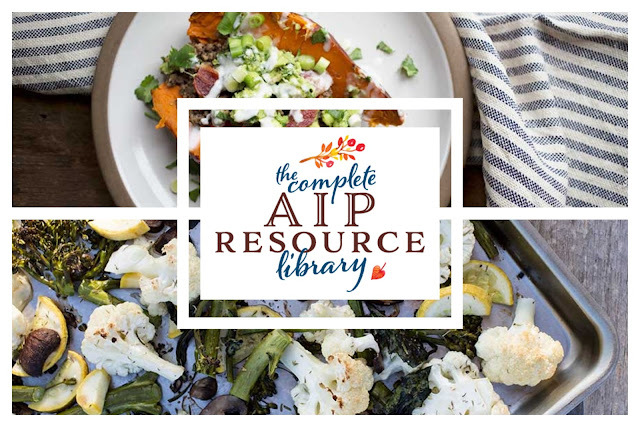 It’s called “The Complete Autoimmune Protocol Resource Library,” featuring over 31 AIP-compliant e-books, including my book “AIP & Paleo Holiday Sweet Treats” AND “The Paleo AIP Instant Pot Cookbook” which I designed last summer. This resource is one I wish had been available when I started AIP back in 2014. And it’s only $28 (which works out to less than $1 per e-book). One other really unique aspect to this resource library is that 10% of each purchase will be donated to a charity in the health and wellness community. How cool is that!?! However, The Complete AIP Resource Library is only available August 24 to 27, so don't delay! 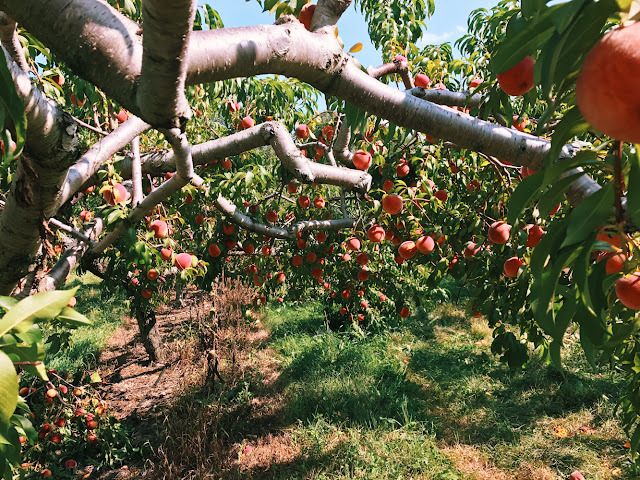 Last weekend, we visited two farms, Cider Hill Farm and Applecrest Farm Orchard, for their peach festivals. I hadn’t done any “pick your own” fruit or veggies before, and I thoroughly enjoyed the experience. Not only was it neat to see exactly where our food is grown, but it gave me a new appreciation for how much work farming can actually involve. And there’s nothing quite like sampling a perfectly ripe, sun-warmed, freshly picked peach. Now that we’ve got peaches galore (nearly 40, to be exact), I’ve been adapting some of my recipes to utilize our peach bounty. 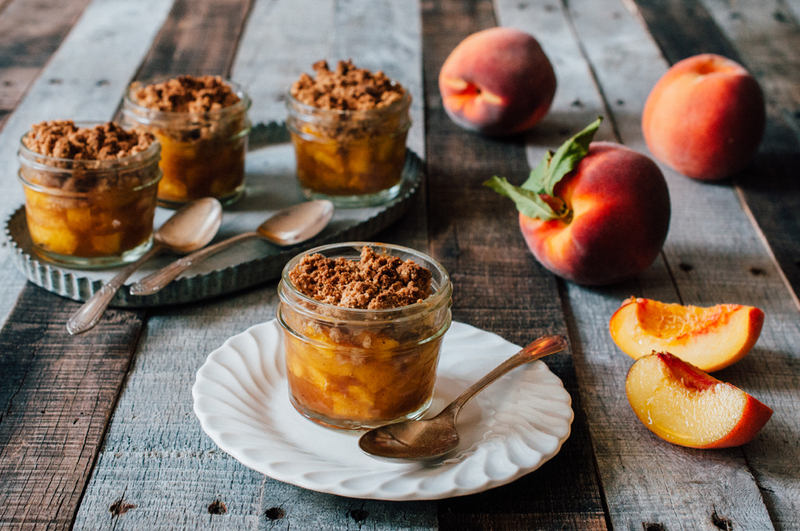 First, I adapted my individual AIP strawberry rhubarb crumbles into peach versions. I replaced the strawberries/rhubarb with 3 cups of chopped peaches, and I added 1/2 teaspoon of cinnamon to the both the tigernut crumble topping and to the peach filling. 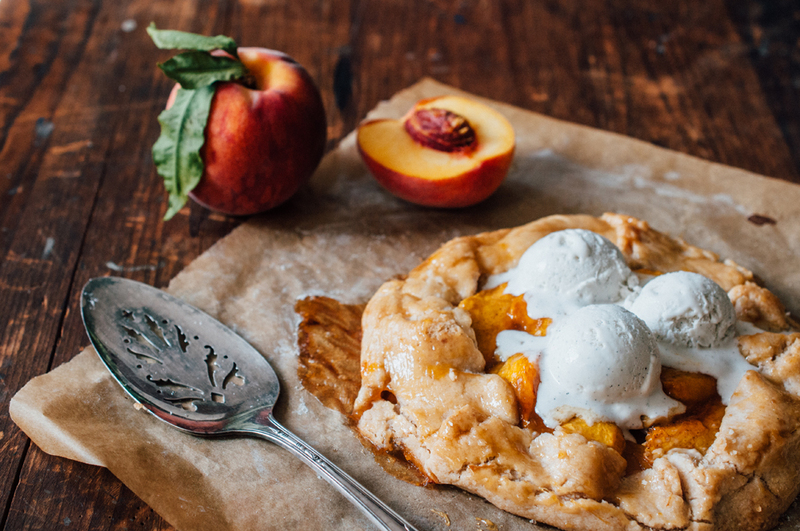 Second, I adapted the AIP pear galette recipe from my e-book (don’t forget, it’s available in “The Complete AIP Resource Library”) into an AIP peach galette. 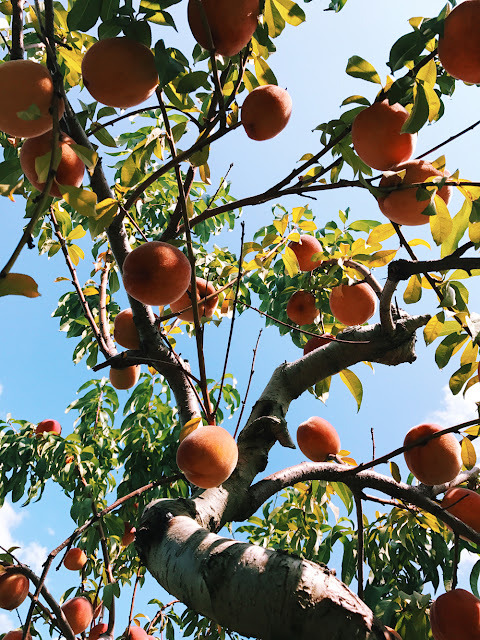 I reduce the water in the AIP pate brisee to 2 tsp because we’re experiencing higher humidity weather in NH, and I used peaches instead of pears for the filling, reducing the maple sugar a bit because the peaches were so sweet. And instead of making caramel sauce to go with it, I glazed the baked galette with some warmed fruit-sweetened apricot jam. I caught the paddle boarding bug in July while at my family’s lake cabin in Minnesota, but, unfortunately the flies were so bad that I couldn’t be out on the water as much as I’d have liked. Then, some NH friends told me about a paddle boarding opportunity on the Contoocook River outside Concord, NH. We made reservations, and went on a Sunday afternoon after church. We ended up paddle boarding for 4 miles, 2 miles of which were upstream and against the wind. Post-paddle boarding, I had some of the worst muscle soreness and stiffness I’ve ever experienced, but I’m also amazed at how quickly my body bounced back. While I can’t say exactly why I recovered so quickly, I suspect my increased consumption in collagen aided at least a little. I typically put the collagen powder in smoothies. 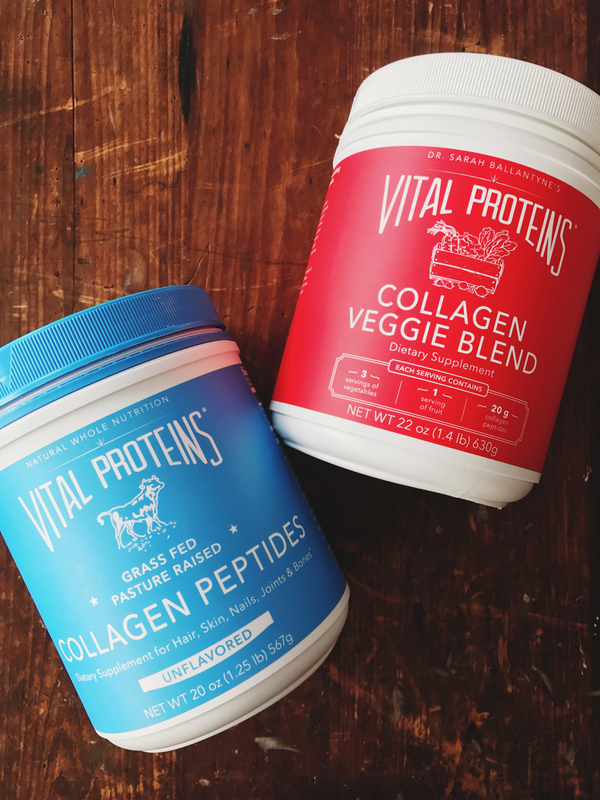 Sometimes I use plain collagen, but other times, if I really want to up the nutrient density (and my vegetable consumption), I’ll use the collagen veggie blend Vital Proteins developed with Dr. Sarah Ballantyne. The plain collagen is pretty much tasteless, however the veggie blend does have a stronger flavor, so I often use it in smoothies that use sweeter or stronger flavored fruits, like banana or dark cherries. My husband is also a big fan of collagen, though he mixes plain collagen with coffee and coconut oil in the mornings for a homemade bulletproof latte. Winter is coming! (Sorry, I couldn’t resist that Game of Thrones reference, haha!) I’ve started noticing the days are getting shorter and in looking at the calendar, and I know fall/winter will be here before we know it. I’ve always been a person who loves being near water, whether it’s a lake or the ocean, and I find that there’s something about being near water that refreshes and reenergizes me. While the weather is still beautiful, I’m encouraging myself to take advantage of the Atlantic Ocean being a manageable drive away. Especially when I travel to the farmer’s market, it’s so easy to drive just a little further to the beach, and go for a walk. 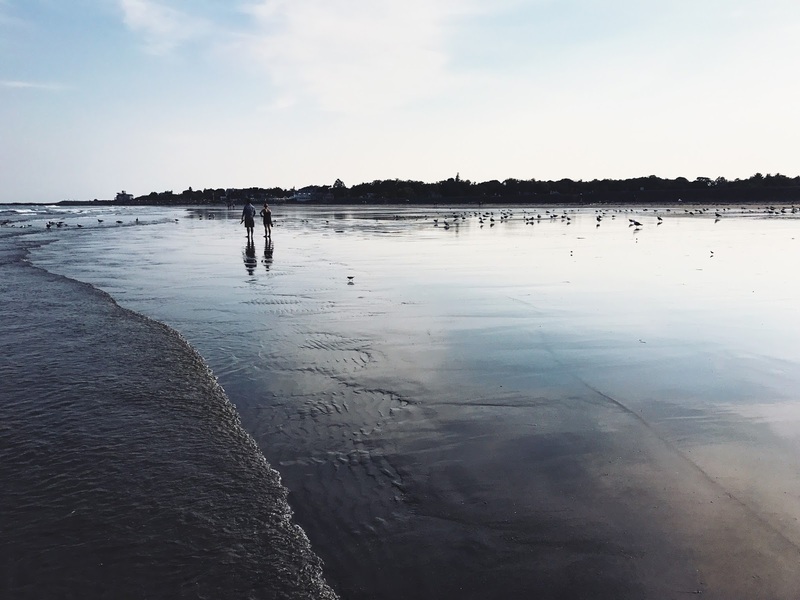 Not only do these walks help refresh and reenergize my soul, but they also give me some easy physical activity and some vitamin D, if the sun is shining. As I’ve been spending more time outdoors and doing summer-y activities this month, I’ve been spending less time in the kitchen, and have embraced quicker, more simple meals. 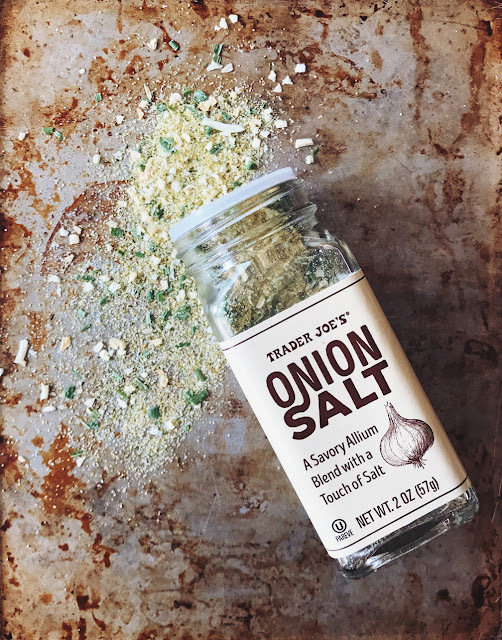 This onion salt, which I buy at Trader Joe’s, has been an easy-yet-flavorful addition to my spice collection. I most often sprinkle it on a microwaved white sweet potato, but it’s also been great on oven-baked sweet potato fries, in scrambled eggs (AIP-reintroduction), on roasted vegetables etc. It also may be a blend I take with me when traveling in the future. If you don’t have a Trader Joe’s near by, this blend would also be pretty easy to mix up at home. So those are a few of my favorites from August. What are you loving lately? A couple months, I started a new series where at the end of each month I share some of my favorite things. Some may be things I’m reading or watching. Some may be body or beauty products. Some may be kitchen and food related. Some may be travel or adventure related. 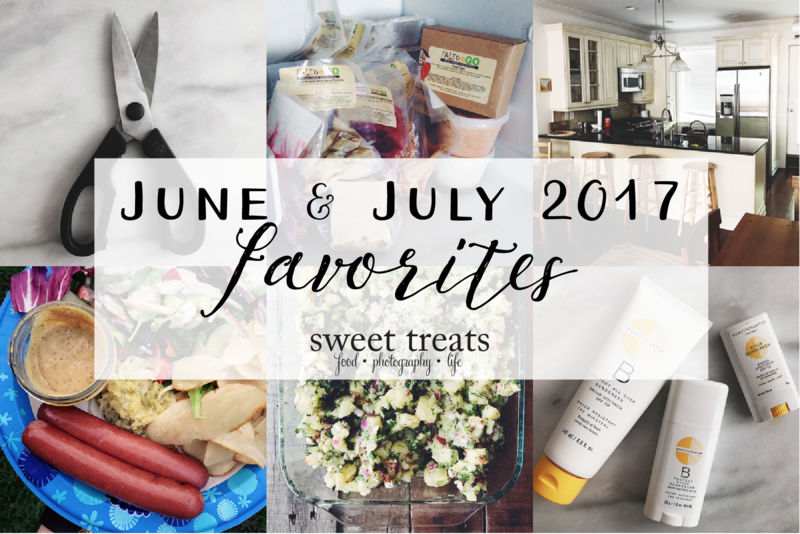 Today I’m sharing my June and July favorites (in no particular order). After not traveling for almost the first 6 months of 2017, I’ve made up for lost time! We traveled to NYC the end of June/beginning of July, to North Dakota/Minnesota the middle two weeks of July, unexpectedly to South Carolina (while in the middle of our ND/MN trip) for a funeral, and now I’m currently in Minneapolis on a quick trip. Whew! For the NYC trip and the SC trip, we used Airbnb for our lodging. Both were great experiences and we especially loved having a full kitchen at our disposal. 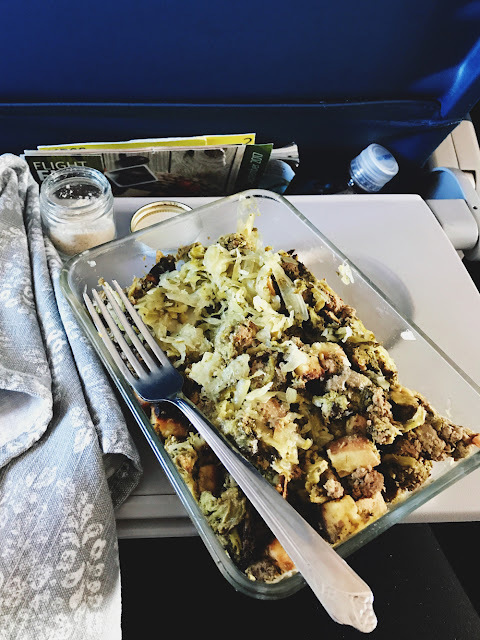 I don’t love to do a lot of cooking while on trips—I’d much rather bring a bunch of batch-cooked foods with me & reheat as necessary, but it was nice to have a full fridge and freezer for storing foods and to be able to make easy breakfasts for family. Also, for both of these trips, it was much more economical to book with Airbnb than to stay in hotels. Make sure to vet your Airbnb listings well before booking them. 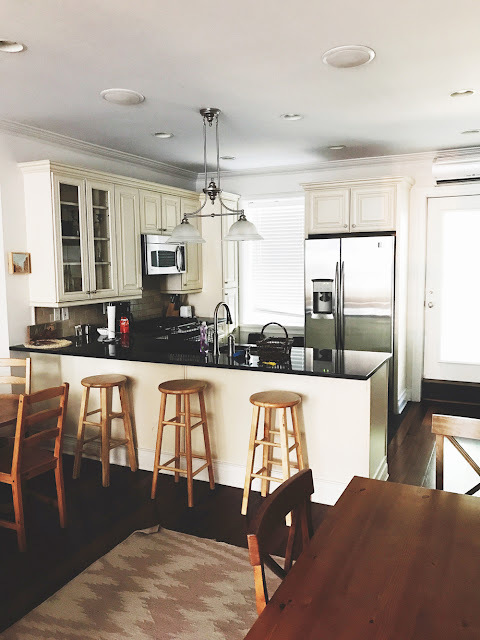 If you’re especially keen on having a good kitchen, make sure to read whether it’s fully equipped or not, and pay attention to what’s in the photos. Even in a fully equipped kitchen (and even if i’m not planning on doing much actual cooking), I usually bring along some of my own kitchen tools, such as dish soap & a sponge, a dish towel (which also doubles as a hot pad), a mini cutting board, paring knife, spatula, kitchen shears, and ziplock bags. 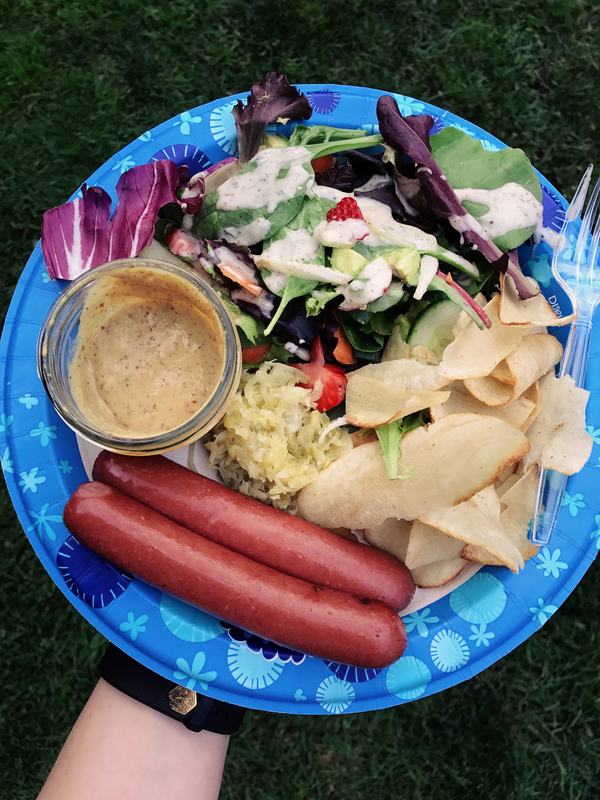 I am ever so thankful to my friend Rachael from “Meatified” for developing this potato salad recipe. I’ve made it many many times (including two double batches in July alone), & it’s always a crowd pleaser, even for non-AIP/Paleo people. It’s also a salad that gets better with age, so don’t be afraid to make it a little in advance (or to make a double batch). A couple minor changes I make: I usually sub finely chopped scallions for the chives—I never have chives on hand, but I always have scallions. I also really like celery & will add a little more than the recipe calls for. And when in doubt, double the recipe. You’ll never regret the leftovers. 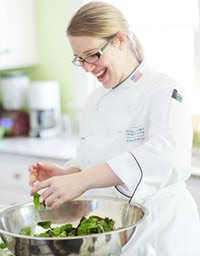 “Nourish” is full of delicious, all-AIP, restaurant-quality recipes. 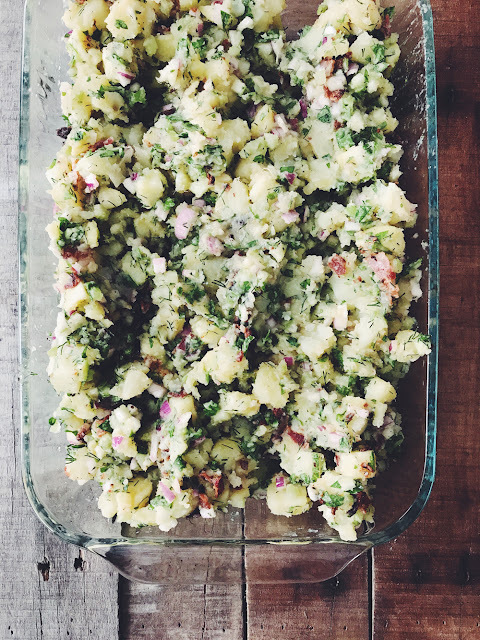 While this potato salad recipe can only be found in “Nourish,” I’d say the purchase price of the book is worth it even if you only make this potato salad! One kitchen tool I never like to be without is my kitchen shears. 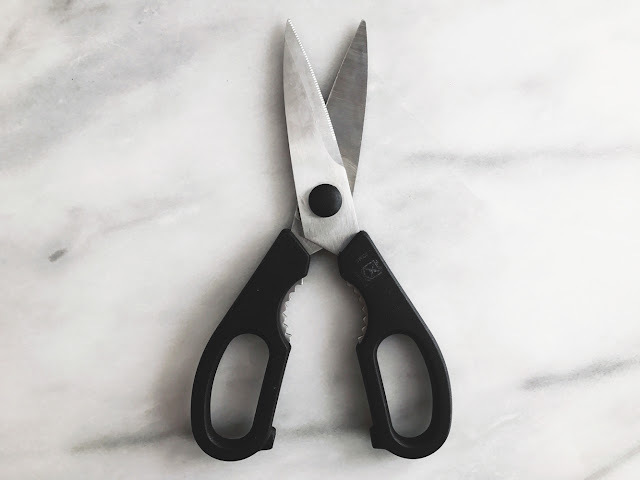 I only began using specific kitchen shears in earnest since culinary school, but they’re a tool I use so often that I have multiple pairs. They’re not only useful for opening packaging, but I also use them to cut bacon into pieces, snipping herbs, cutting scallions, butterflying poultry, and much more. I never realized how much I rely on my shears until traveling to other kitchens and NOT having them along! I have the Mercer Culinary Kitchen Shears, but there are other good quality options out there. One feature I especially look for is that they come apart, which makes cleaning them (and drying them) much easier. (Almost) AIP Product: Trader Joe’s Organic Grassfed Hot Dogs NIGHTSHADE FREE! It’s really ironic, given my former vegetarian ways, how much I really love hot dogs. But, I hadn’t eaten hot dogs in over 3 years since nearly all hot dogs contain “spices,” which generally means NIGHTSHADE ALERT. However, hot dogs are back in my diet, thanks to these organic grass fed hot dogs from Trader Joe’s. They do require AIP reintroductions of white pepper and nutmeg, but they are completely nightshade free (and delicious). I’ve also reintroduced mustard, so I enjoy dipping my hot dogs in Sir Kensington’s Dijon Mustard. One tip: should you need to cook your hot dogs on a shared grill, such as at a friend’s house for a BBQ, wrap the hot dogs in foil & then grill. They won’t get grill marks, but there also won’t be cross-contamination. My first POTG order from August 2016. Note: some of their packaging has changed since then! I’ve placed 4 large orders from Paleo On The Go’s AIP menu over the past year & have found it to be a great option, especially when traveling. For those not familiar with POTG, they’re a paleo (with AIP options) frozen meal company that delivers throughout the US. I’ve primarily used their meals as a replacement for eating out while traveling. Yes, they can be more expensive than traditional frozen meals, but POTG makes delicious products and they use high quality ingredients. It’s such a treat to eat good food that I’m confident won’t cause me to get sick (like eating out sometimes can) and that I didn’t have to make myself! My personal favorite has been the beef pot pies. POTG also came in really handy earlier this month while we were in ND visiting my parents—I’d had a big order of POTG products shipped to their house ahead of our arrival—but suddenly found out we needed to go to SC for a funeral. I didn’t have enough time to do as much batch cooking as I normally would for a trip like that, but thankfully I could take some POTG things (like beef breakfast empanadas and bacon apple chicken burgers with maple cranberry sauce and chicken breakfast sausage) frozen in my checked luggage. I then used our Airbnb oven to re-heat some of them, & some items (like the breakfast sausage) I just ate cold! As I’ve cleaned up my body products, finding good quality sunscreen that works and isn’t full of bad ingredients (and doesn’t leave me looking ghostly white) has been a challenge! 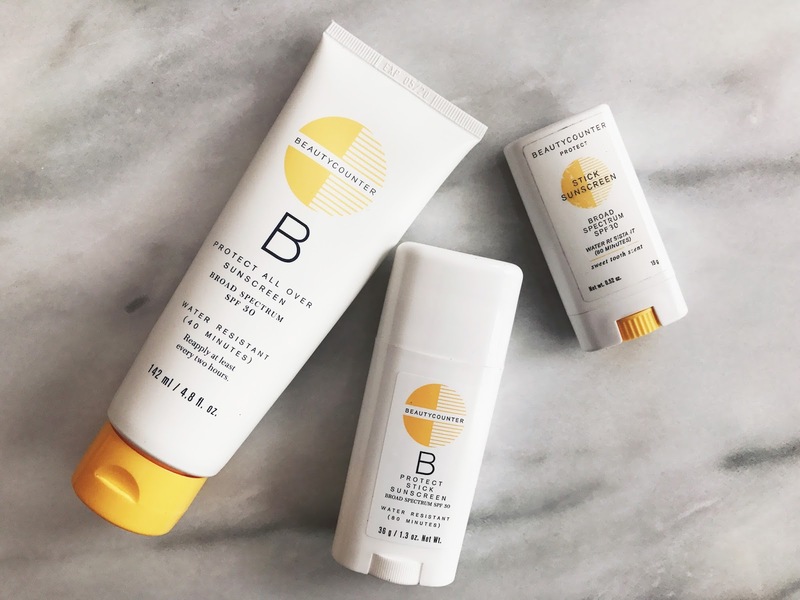 Last summer, I won a tube of Beautycounter Protect All Over Sunscreen SPF 30 from a Beautycounter party and I’ve been hooked ever since. I love that it works well, it has good ratings from EWG, AND it doesn’t leave my skin all white. I’ve also become a fan of their sunscreen sticks. Especially while we were traipsing around NYC, it was so handy to have the face-sized sunscreen stick in my purse for easy reapplication. I've also recently ordered a body-sized sunscreen stick, but I haven't had a chance to try it yet. While I’m not a consultant with Beautycounter, you can order products through your favorite consultant (I’m sure you probably know *someone* who sells it, if you’re in the AIP/Paleo-sphere) or through the Beautycounter website. 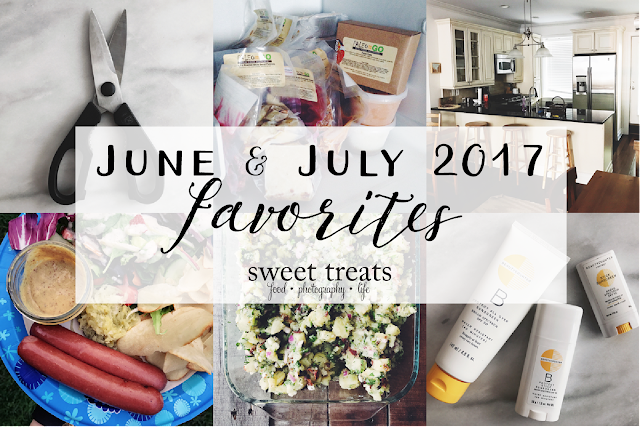 So those are a few of my favorites from June and July. What are you loving lately?